Since the birth of Reedsy, we've had the chance to work with thousands of authors, helping them get their books out there in the most professional possible form — and to sell them. Most of the time, when I ask authors who their book is for, they’ll tell me about their genre: “It’s for teenagers who are into Fantasy,” for example. Or sometimes, I’ll get an age group: “It’s for middle-aged women.” It’s not uncommon to hear “everyone” either. There are two big problems with this. First, you’re setting unrealistic expectations. Unless you come up with the next Harry Potter, not every teenager will read your book. It’s much more likely that only an infinitesimally small portion of them will. The second problem is that you’ll be lost when the time comes to market your book. Marketing is mostly about putting your book in front of readers. If your target reader is everyone, what are you going to do? Tell random people on the street about it? Where are you going to place it in the Amazon categories? “Fiction”? You can spend thousands of dollars on promotion and do everything right marketing-wise, but if your book is not intended for a specific, target market — or if it’s not a fit for the market you’re incorrectly targeting — you won't sell it. Tip: Think about your market before you finish your book. Or more specifically, think about your market after you’ve finished the first draft — but before you’ve started intensive editing. Maybe you set out to write a YA fantasy, but the motifs and characters emerged with more maturity than you expected; can your revisions focus on pushing conflicts, emotional complexity, and world-building toward an adult market? If not, how can you alter some of those motifs and characters to speak to the audience you want to target? 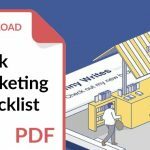 If you do a minimum of research on book marketing best practices, the mailing list is the one thing that comes up over and over again. Yet, I’m still amazed at the number of authors who don't have one. If you don't have a mailing list, you just lost 10,000 potential repeat buyers. And that’s just scratching the surface. A solid mailing list is useful well before you even publish your first book. If you’re still not convinced, take a look at this interview with best-selling indie author Nick Stephenson. Tip: It’s pretty simple: set up your mailing list (the sooner, the better). You’ll need a website first, ideally a good-looking one. Then, create your MailChimp account (or similar) and add a signup form on your website and a link to it in your books. Don't forget to consider reader magnets — which you can read up on here. Once you start gathering subscribers, you’ll need to keep your list engaged and send them regular updates, of course. But that shouldn’t be too hard! Learn how to set up and grow your author mailing list. Authors are renowned for their self-doubt when it comes to their written creations. Which is why I can't understand how so many of them feel so confident about their cover design abilities. Without going to the extremes of the Kindle Cover Disasters, Amazon is flooded with amateurish covers. If you design your own cover, you might think it looks great, and some of your friends might think the same, but many people with a genuine design sensibility will instantly recognize it as the work of an amateur. And they just won't buy the book. Tip: If you want to become a professional author, you’ll need to work with professional designers, i.e. people whose job it is to design covers. More about how to work with a cover designer in this blog post. If you insist on creating your cover yourself and wonder if it’s any good, we run regular “Cover Critique” sessions on ReedsyLive. It’s a chance to get free feedback on your existing cover by one of our top artists. Register for the next one here. #BookMarketing Mistake No. 3: Designing your own cover. Just don't do it. That moment when you upload your manuscript to Amazon and prepare to press the “Publish” button is probably one of the most exciting moments of the whole publishing process. 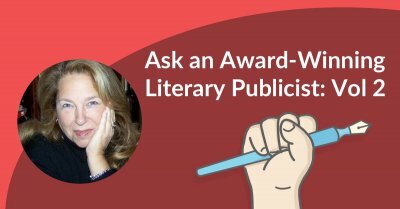 It seems, however, that in the midst of all the excitement, many authors seem to neglect the “categories” and “keywords” fields of the upload form. They chose a sub-category that does not reflect what their book is about. Why are categories important? It’s because they’re the primary source of visibility you’ll get from Amazon. If you rise to the top of the charts in a category that gets a lot of traffic, your book will start selling even more, with no action on your part. Keywords are similar. 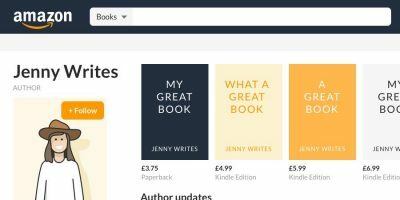 You can add up to 7 keywords to your book page, and while they don’t show up anywhere after that, they significantly impact where your book shows up in Amazon searches (particularly important when it comes to non-fiction). You need pick keywords that get enough searches to generate sales but are not too competitive so your books can be found in the first search results. 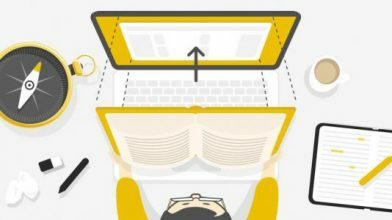 We don’t really have time in this post to delve into the complex world of Amazon categories and keywords. But the bottom line is: this is something you should be thinking about while you revise and refine your book. Can’t find a category for your masterpiece? Careful — you might be writing for a market that doesn’t exist. 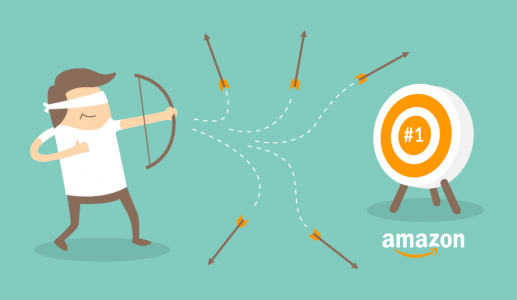 Learn how Amazon's lists and algorithms work to make the most out of your next book launch. “I’ve tried everything, and nothing seems to work,” authors often tell me. Aside from the fact that there are usually cover, blurb or metadata problems with the book’s page on Amazon, “trying everything” is the exact opposite of what smart marketing is all about. First, if you’re doing a little bit of everything (all at once), it’s impossible to know which strategy is producing results. Amazon doesn’t tell you where your sales come from, so when you do get a spike, you won’t know what to attribute it to. More importantly, you’ll be burning yourself out — numbing your creativity — and won’t be doing any of these things well. It’s important to always be testing new ways to promote your book, but if you try more than 1 or 2 at a time, you won’t be able to test them properly. Tip: Take a look at what other authors in your genre are doing to promote their books to have an idea of the marketing channels that are likely to work best for you. 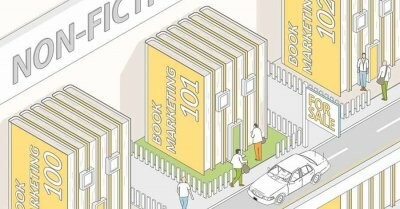 Or, if you’re short on inspiration, take a look at these 50 book marketing ideas. Pick a couple and test them exhaustively. If they don’t work, test another two. Once you’ve found one or two that work, stick to them and don’t waste your time on other less effective activities. This is just expanding on my previous point, but I see too many authors dismissing Facebook ads after poor “testing”. Because of Facebook’s unique targeting capabilities, ads can work for nearly every author. However, Facebook is a complex advertising platform and has a pretty steep learning curve. So if you go into it thinking “I’ll just boost my post about my book for $100 and see if it sells something”, you’re bound to be disappointed. Tip: Educate yourself. Read blog posts from authors who sell through Facebook (you’ll find a perfect one here). Sign up below for our free course on the subject (yes, that’s right, free). And take a look at Mark Dawson’s excellent Ads For Authors course (paid). Disclosure: we're an affiliate partner of Mark Dawson's course. 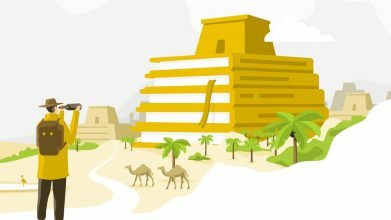 This is the only course for authors we promote through an affiliate partnership, which should tell you how much we believe in it. Then, armed with knowledge, start running your first few ads with a small budget ($5/day), test ad copy, image and audience, and iterate. Learn how to leverage Facebook Ads to grow your mailing list and sell more books! One of authors’ preferred procrastination methods is taking to social media to complain how all the things that “used to work” back in the golden days of self-pub don’t work anymore. And perma-free is definitely their favorite victim. It’s true that everything related to free (perma-free, free promotions, etc.) in the book market is now less effective than it was 4-5 years ago. Everyone uses these promotions, so readers are flooded with free books. Moreover, it’s rumored that Amazon is giving less visibility to free books since the launch of Kindle Unlimited. So why bother with “free” at all? Well, the key here is that “less effective” doesn’t mean totally ineffective. It has been proven, time and again, that your free book will receive more traffic from Amazon than at $0.99, $2.99, or any other price. Free maximizes your reach. So if the sole purpose of your book is to drive discoverability and act as a hook for the rest of your books, free is still the best way to achieve that. “Selling books is like any other online business, you need two things: traffic, and conversion (turning traffic into customers). Tip: Take a look at how the top indie authors in your genre use free. Do they have perma-frees at the start of their series? Do they give away a book (or several) as a mailing list magnet? Do they run free promotions? I'm seeing a lot of confusion around Bookbub ads out there, which is fair considering that what they officially call "Featured Deals" have always been called "ads" by the author community. But the point is: back in 2016, Bookbub introduced their self-serve ads, which allow you to advertise your books to Bookbub's audience even if you're not accepted for one of their Featured Deals (the traditional way of advertising on Bookbub). These self-serve ads are proving to be incredibly useful to many authors, and complementary to Facebook and Amazon ads. They're also more intuitive and reach an audience of proven book buyers. So if you're one of those authors who gave up on Bookbub after the 10th Featured Deal rejection, leave your frustration aside and start playing with Bookbub CPM/CPC ads. Tip: As with any other advertising platform out there, you need to learn how it works before you start using it. We don't (yet) have a Reedsy Learning course on Bookbub self-serve ads, so I recommend you download and read David Gaughran's freebie Amazon Decoded here and sign up to his newsletter (which regularly discusses Bookbub Ads tactics). 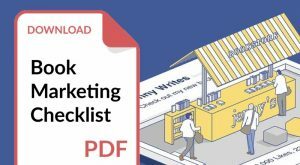 If you've dabbled with Facebook, AMS or Bookbub CPM ads, I'm ready to bet that you've already killed several ads or campaigns that were actually making you money (without you realising). You know why? You didn't factor in sell-through in your calculations. Let's take an example: you're advertising book 1 of a series, which you've priced at $0.99, through AMS ads. You're getting lots of sales with an ACoS of 50%, but since your royalty on that book is only 35%, you're thinking "I'm losing money!" and you kill the campaign. What you're missing here is that a portion of readers who purchase this first book are going to buy the second one, and some of those will buy the third one, and so on. That's what we call "sell-through" (or "read-through"). Tip: Calculating exact sell-through figures on your ads isn't easy, as they will vary from one audience and platform to another. But if you want to take advertising (and your career) to the next step, you need to start estimating read-through figures across your series and applying them to your ROI calculations. I keep hearing authors complain that Facebook ads are getting too expensive because everyone is running them now. And you know what? They're right, many audiences on Facebook are getting bombarded. But instead of blaming it all on the popularization of Facebook ads, there's an easy way to get these costs per click/lead/signup back down: the Facebook pixel. See, the problem is not that everyone is doing Facebook ads, it's that everyone is running them the same way: You find a big comp author, target their fans, select Kindle as an additional interest, and write some "fans of … will also like …" copy. The result? Everyone is bidding to reach the same audiences. So how do you get out of this crowded market? You create custom and lookalike audiences, i.e. audiences that only you can reach. An easy way to create a custom audience is to import your mailing list subscribers. And if your mailing list is big enough, create a lookalike audience off of that (I recommend that the source audience has at least 5,000 users in the country of the lookalike). create an audience of people who clicked on a "buy" button. And then, of course, you'll be able to create lookalike audiences based off the above. Every day you don't have the pixel on your website is a lost retargeting opportunity. Tip: if you're advertising on Facebook, work with your website designer to add a pixel to your author website asap. Or, if you built your website yourself on WordPress, check out this helpful WordPress plugin. I know, I know, you're an author, you express yourself through writing, not speaking or filming. But it's become so easy to produce high-quality videos nowadays that there's really no reason to incorporate that format in your marketing activities. I'm sure you've heard about Facebook drastically cutting the organic reach of pages, right? Well, there's one format that Facebook is actually pushing for: video. And publishing a video on Facebook is as easy as taking your phone out of your pocket, opening the Facebook app, and going live. 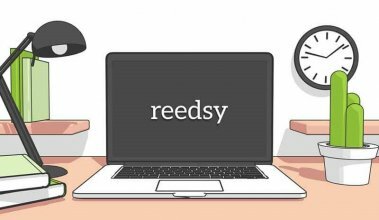 At Reedsy, we've been using Facebook Live for around two years now, and our latest Reedsy Live sessions were attended by over 200 live viewers. 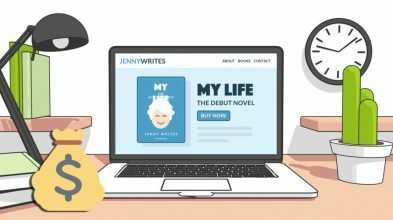 If you have a reasonably big author page on Facebook, doing a Facebook Live is the perfect way to connect with your readers on a much more intimate level. You could do a cover reveal, announce a new series, offer an exclusive Q&A session, or a million other things. And you know the best bit? Facebook lets you create custom audiences based on video views. So you're able to retarget all the people who view your videos — and create lookalike audiences based off them. Of course, if you're not comfortable with Facebook but you still want to do video, well, there's YouTube. It's a lot more time-intensive to build a following there, but there are countless author-vloggers (often YA) who've used YouTube as a way to reach their target audiences. Tip: Think about creating a (professional) book trailer for your next series and use that rather than static images in your ads. I guarantee you'll see a huge difference. Even if you manage to focus your activities on one or two channels that actually work, there will still be lots of peripheral activities to take care of, marketing wise. You still have to update the website, keep in touch with your readers (whether that’s through social or newsletters), track and analyze your sales, run price promotions, research categories and keywords, etc. If you have just the one book, that’s fine — you can do all that on your own. Once you start growing your catalog, though, you’ll soon be overwhelmed and struggle to keep your focus. It often takes authors time to recognize that they just can’t do everything on their own, and they wait until things really get out of hand until they decide to trust someone else to handle some of it. A virtual assistant to take care of all your simple but time-consuming tasks, like filtering your email inbox, answering fans on social media, updating your website and books’ backmatter when you release a new title, etc. More about virtual assistants here. A professional book marketer to help you scale and automate your marketing efforts. Depending on their area of expertise, a marketer can help you set up and run advertising campaigns, build your mailing list, or work with you on the marketing plan for each new title. More about book marketers here. Which of these traps have you encountered while self-publishing? Or do you disagree, and think that they're not mistakes at all? Let us know what you think and share your experiences marketing your book in the comments below. Great tips. Thanks! Especially about the cover design. If I'm self conscious about how my writing looks on paper, how more so would I feel uneasy about someone judging my cover art! Glad you enjoyed the tips! We're currently preparing a long-form piece on cover design for the Reedsy blog, because we're seeing too many authors getting it completely wrong… There's so much bad advice out there, and it can be hard to find the right professional designer for your story and your genre. There's this misconception that email marketing is outdated. This couldn't be further from the truth! Opt-in newsletter subscribers want to receive your content and it's a great way to reach your audience. Completely agree, Kristen! Being able to communicate with your readers in a way that feels more personal (but that you can also accomplish at scale), should not be overlooked. Lots of good points. With no direction in marketing and no email list, I suppose it is bound to be a flop! Absolutely. Thanks for the comment! Thanks for the very practical ideas. Applying them is not going to be easy. You have given the steps to follow. Thanks for the article! Taking a lot with me! One only question regarding email providers – is Mailchimp really the best choice? I have heard very good words about their alternatives like Mailerlite (www.mailerlite.com/ ) and Convertkit (https://convertkit.com/ ) – have you tried any of these? For lists more than 2K they’re definitely more cost friendly and in functionality they don’t fall behind. I would add take advantage of beta readers to collect comments and endorsement. There are a lot of self-publishing services that can be crowd-sourced in discussion and interest groups on LinkedIn, GoodReads, Facebook. Bulletin boards like http://beta-reader.boards.net/ (disclosure: I am the founder and editor of http://www.betareader.us) offer an opportunity to get help with editing, design, or marketing of your book. The Kindle Cover disasters link isn't what you think it is. These are actual book covers, most from works going back 30 or more years. I think the remit of that Tumblr has changed in recent times. In recent times, it's become more of a 'general funny covers' site. We might change the link to showcase some of their older entries. Thanks for flagging that up! An easy way to get a mailing list and to get your book out there is to have a giveaway and write that people who enter will be put on the mailing list. Make sure the prize is more than just the book otherwise most people won't even bother entering. Gift cards are popular. Truth to tell, just reading this post overwhelmed me. Besides, I'm totally blind, and though I'm an imaginative writer with a unique tactile focus in my stories, I bet most of this stuff is visual. That is, one has to be able to see to do it. Even publishing on Amazon is not blind-friendly, and I paid a publisher $40 to properly publish a 0.99 cent story. Plus, I paid another publisher thousands of dollars for the novel coming out. With so much of the world, online and off, devoted to those who can see, it's damn hard, and expensive, to get out there. Unfortunately, I wasn't blessed with a great singing voice and keyboard chops like Stevie Wonder or Ray Charles. Then again, they were innovators and pioneers in their field. That's how I see myself: a pioneer, an innovator, who can hopefully make it easier for the blind author coming up after me. But damn, it's a hard row to hoe. I wish I had connections of some kind. Neither Ray nor Stevie did their thing alone, and neither can I.
I can attest to the Video Ads in FB, did you know that a slideshow counts as a video in FB? You can then retarget "people who watched 3 seconds" of your video/slideshow! Works great, and the clicks are goin' cheaper than any other ad right now. Very informative, fulfilled with real world instances. Thank you so much for sharing.